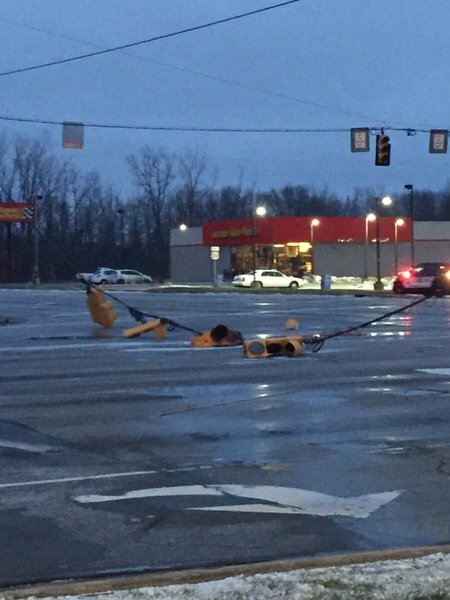 Intersection will likely be closed all day. Plan alternate route. INDOT clears 914 snow routes and 30,471 lane miles across the state. #INDOTWinterOps 519 trucks out statewide treating & plowing routes. Crews are working to improve road conditions before temps drop further. Main highways continue to improve. Many secondary roadways are still snow/ice covered. Motorists should reduce their speed. Gibson: Crash with injury on I-64 near US41. ISP is in the area looking for the crash.